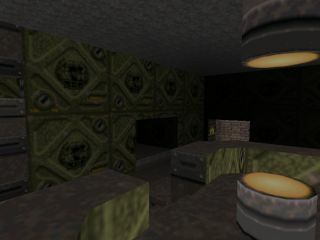 A level which never made it into the final release of the game, and arguably a good thing too. Although there's a rather illustrious name behind it the map is awfully under-detailed and has some horrible textures - a few more hours spent polishing it up would have made all the difference. Nevertheless, it's a fun DM map - there's some neat sector over sector tricks, not quite so impressive as Lunatic Fringe (E2L11) but it still adds an extra dimension to gameplay. Take a look. Title :	Cigam by Levelord(TM) and ©1996-98 3D Realms Entertainment. leads to some wild gameplay, especially in 1 on 1 Dukematch. 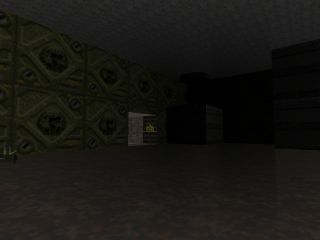 obtain permission to distribute this level. Sewer by Levelord(TM) and ©1996-98 3D Realms Entertainment. allowing these maps to be released. by any and all Levelserfs"
Page generated in 0.1371 seconds.